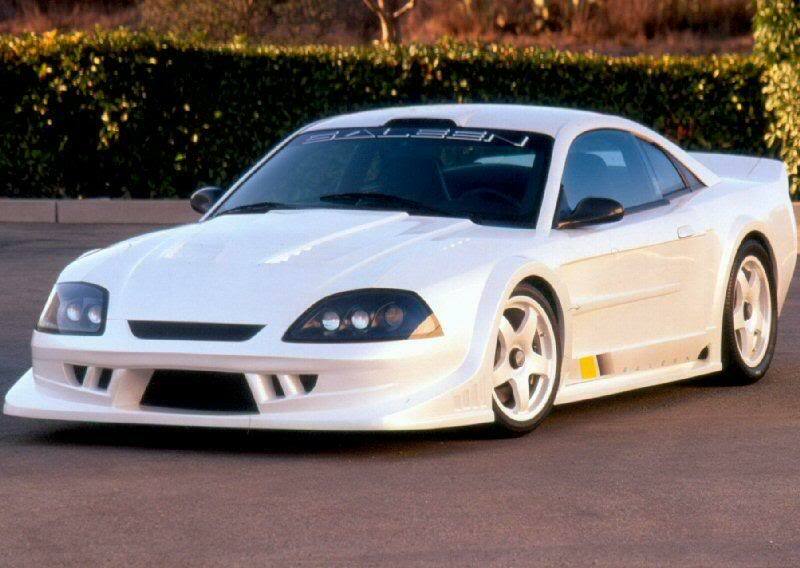 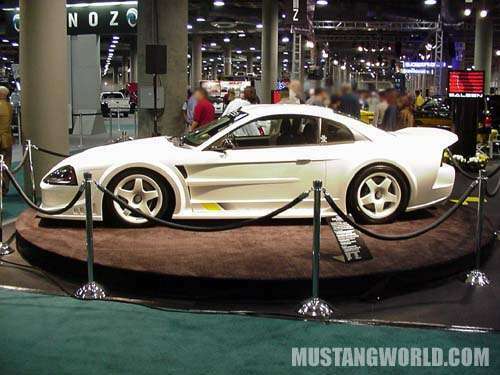 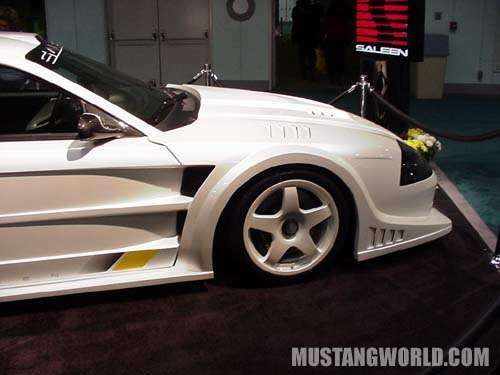 This is Saleen SR from year 2000. 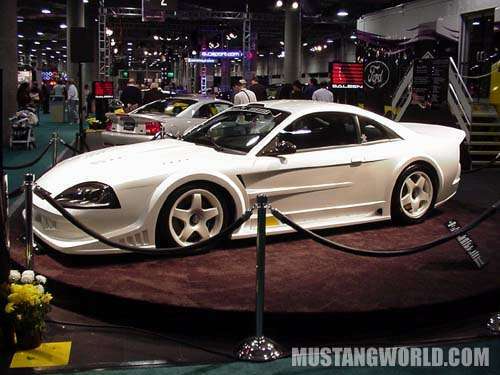 It fratures pearl white wide unibody with roll cage and full Saleen suspension upgrade. 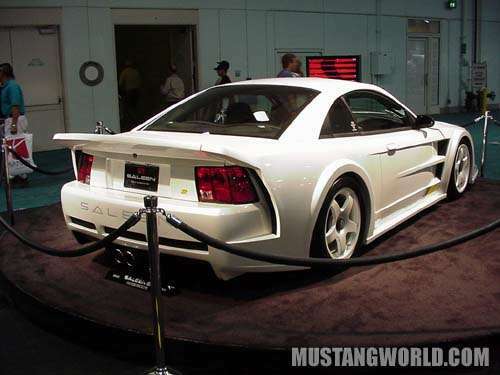 351 supercharged V8 develops 505 HP. 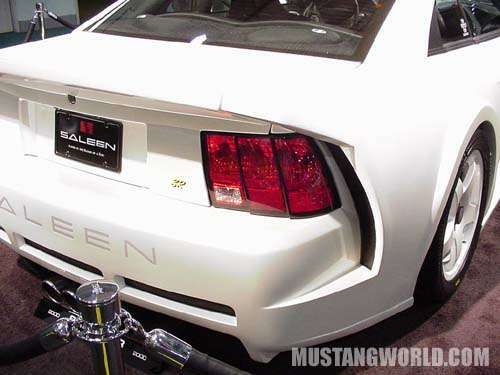 6-speed transmission, aluminum heads with stainless valves, independent uneven double wishbone withsoils – all by Saleen.